Adorable chunky black mare with nice movements, quiet croup, quickness. 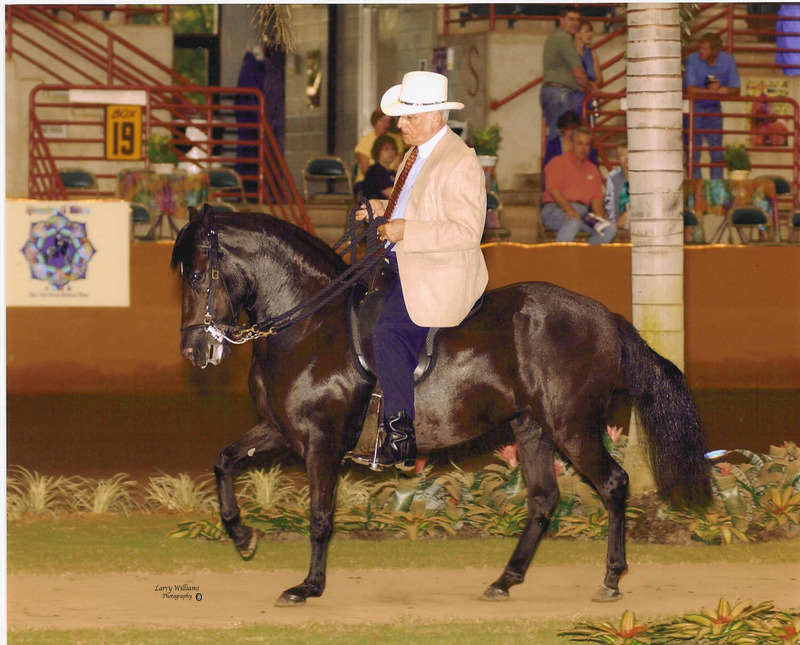 2008: Reserve Champion Pleasure Open Fillies & Mares, March Grand Prix, Miami, Florida; 1st Place Open Pleasure Mare over 60 months old, March Grand Prix, Miami, Florida. 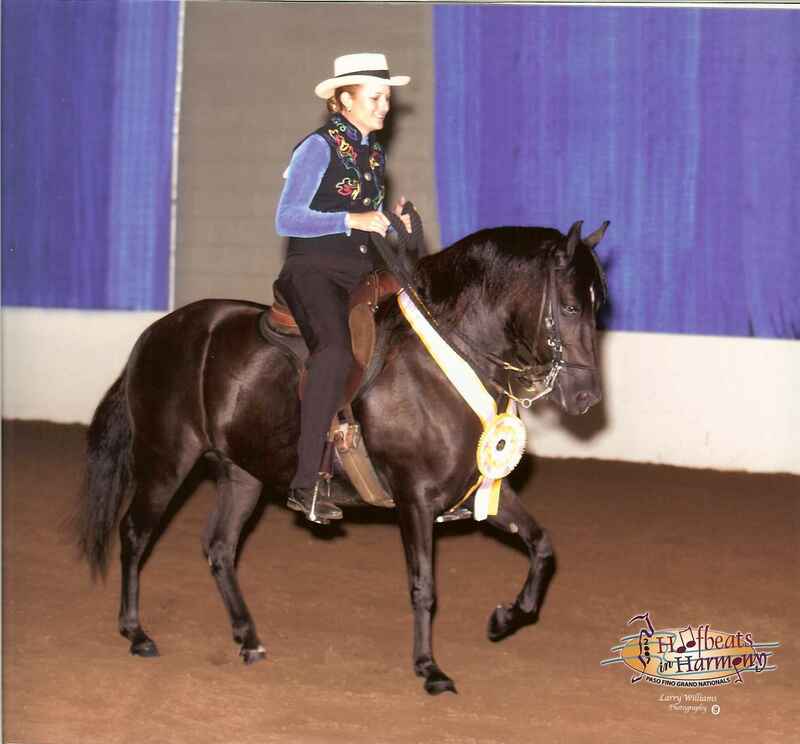 2007: 2007 Confepaso Mundial 3rd World Champion Pleasure Mare; 2007 PFHA 3rd Grand National Champion Pleasure Mare; 2007 PFHA National Champion Pleasure Mare. 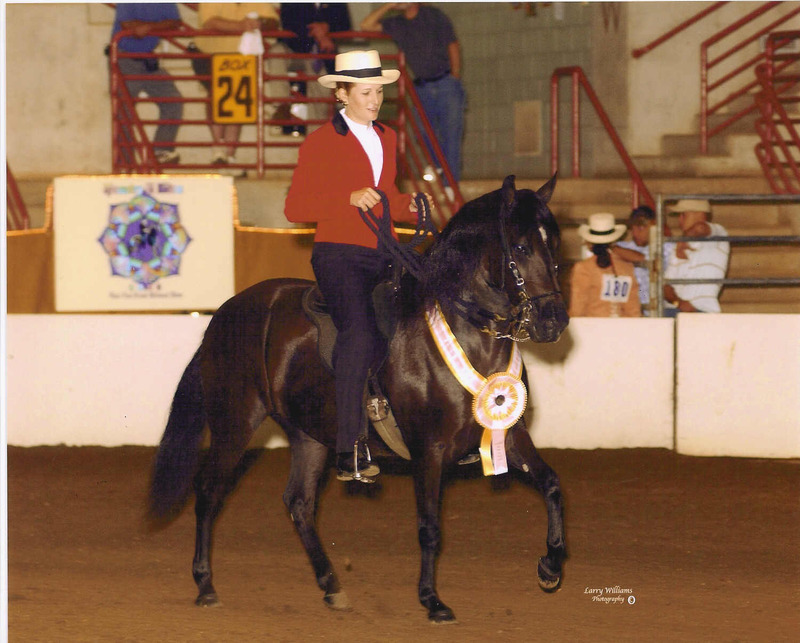 2005: 2005 PFHA 3rd National Champion 3 Y/O Pleasure Schooling Filly, 2005 PFHA 4th National Champion 3 Y/O A/O Pleasure Schooling Filly; 2005 PFHA Honorable Mention Pleasure A/O Mare and Filly Championship. Bred to El Aprendiz de Colores - had bay filly Andalucia de Colores 5/31/09. Open. Eggs for Sale when open.